Zanzibar, a unique dive destination. Dive into paradise. Dive in to paradise with our dive and stay packages to Sunshine Marine Lodge in Zanzibar. Explore the incredible Mnemba Atoll, Zanzibar’s ultimate dive site with crystal clear water, abundant tropical fish and dolphins. Sunshine Marine Lodge is stunning a hotel located on the north-east coast of Zanzibar, opposite Mnemba Island. Situated on a beautiful cliff, with direct access to the ocean, the secluded Sunshine Marine Lodge offers peace and spectacular views of the turquoise waters of the Indian Ocean and Mnemba Atoll, one of the most bio diverse coral reefs on Zanzibar. The Lodge has three swimming pools, a wooden jetty and thoughtfully arranged areas with sun beds and hammocks. Sunshine Marine Lodge offers guests exclusive access to a private beach area on Muyuni Beach. This private beach features a restaurant, beach bar as well as umbrellas and sun loungers. It is perfect get away catering for those who like to relax, or be active and explore a unique and unspoiled destination, away from the crowds. It has only 23 suites and no TVs, so you can re-charge in peace and tranquility. Zanzibar is a world-class diving destination with a range of dive sites for experienced and novice divers alike. Shanes Reef near Nungwi is a spectacular dive site, teeming with marine life and unique creatures such as leaf fish, frog fish, nudibranchs and sea horses. Beautiful hard and soft coral formations create a magical underwater world. 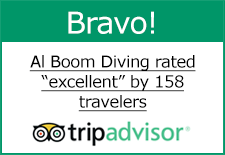 Most of the dives are 18 metres. Zanzibar is just a five-hour flight from Dubai with affordable flights with Fly Dubai. Dive and stay packages start from as little as AED2150 for three nights, including four dives. We have great value packages for longer stays and non-divers receive a special discount. Just ask for details at our Contact Centre. 18% VAT and all taxes. 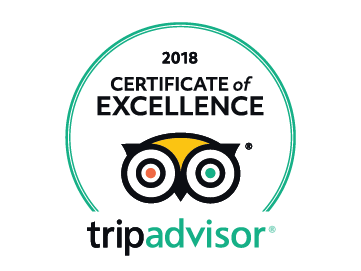 Check out: 10.00am (late check in or day use after 10.00am can be arranged on request, but is subject to availability and cannot be arranged at the time of booking and will need to be arranged locally). Confirmation: The entire cost of the reservation must be paid no later than 30 days before arrival. Cancellation: There will be no refund if cancellation is made 30 days or less before arrival date, 100% of the total cost will be charged. No Show: Any cancellation or changes made on site will incur 100% of the total cost of the reservation. If you would like any further information or to check availability please email [email protected] or call the Contact Center on (+971) 04 3422993.